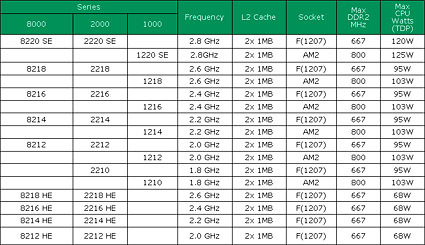 DDR2 667 Mhz suppor for Socket F and DDR2 800 Mhz support for AM2. Quad-Core Upgradeability: Designed to enable an easy platform transition from DDR2 compatible Dual-Core to Quad-Core AMD Opteron� processors in 2007, for improved application performance without infrastructure related power or cooling changes. Enhanced Performance-Per-Watt: AMD PowerNow!� technology combined with and energy-efficient DDR2 memory sets a new standard in performance-per-watt computing. 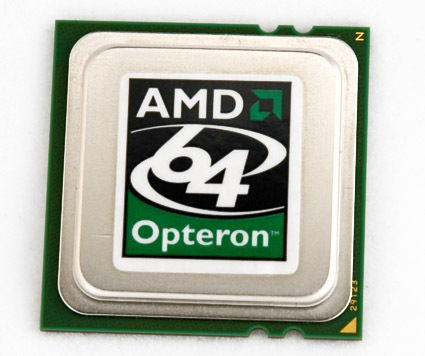 Quad-Core AMD Opteron� processors (planned availability in 2007) will integrate into the same DDR2-based platforms at the same power efficiency with increased performance-per-watt capabilities. AMD Virtualization� (AMD-V�): Hardware-assisted technology helps enable higher levels of efficiency and utilization by allowing the division of one computer into several virtual machines. 1MB L2 cache per Core.